Brazil plans to increase its farm output by 40% in the next 10 years, according to a report by the United Nations Food and Agriculture Organization (FAO) and the Organization for Economic Cooperation and Development (OECD), Agriculture Perspectives 2010-2019. The report goes on to say that the increase in Russia, Ukraine, China and India during the same period will be around 20%. The tendency, says the document, is for the percentage of world food production in Brazil, presently 26% of the total, to rise to 35% in 2019. The report highlights ethanol and oleaginous grain production, saying that the former will rise around 7.5% per year, and that by 2018 Brazil is expected to pass the United States and become the world’s biggest exporter of oleaginous grains. Speaking at the rollout of the government’s 2010-2011 Farm Bill, president Luiz Inácio Lula da Silva said that the Brazilian farmer has to become a skilled professional in order to confront competition and political disputes with China and the United States. “Even New Zealand does not like us exporting so much meat so they have joined the United States in trying to find defects in our products. And then they make complaints at the World Trade Organization,” said Lula. The president went on to say that it was unacceptable that the country had to import most of the fertilizer it used. “This is a case of wanting to be a world leader, but not owning your own nose,” declared Lula as he went to promise that in five years Brazil would be a leading producer of fertilizers. The state of Rio de Janeiro will spend 25 million reais (US$ 14 million) repairing some 17,000 kilometers of rural roads where farm produce is moved to market. It is possible that at some time in the future the state will sign a loan agreement with the World Bank to expand the program and purchase new equipment. Area farmers (in the region of Sumidouro that means 85% of the population) say they have many problems getting their goods to market because the roads are bad and the freight charges very high (because the roads are bad). With better roads, freight will be cheaper and the farmer will make more for his goods. There sure is a lot of angry people commenting on Brazil on this sight. Why so angry? In the USA thousands of acres of California farmland disappears each day. Same thing in other parts of agricultural regions of USA. Things do not look good, all this farmland being bulldozed for housing due to population increases from immigration. Good thing Brasil doesn’t suffer from such idiot laws. How could it be that 17000 kilometers of roads can be repaired….with 14 millions dollars. Namely with less than 1000 dollars…PER KILOMETER ! Typically a Brazilian FAIRY TALE ! Or Brazilian LIE as usual ! And even more doubtful that Brazil WILL PRODUCE 35 % of the World Food Production. Eventually 35 % of the World Food EXPORTS….NOT PRODUCTION ! Ohhhhh and I am quite surprised that ETHANOL is a FOOD ! 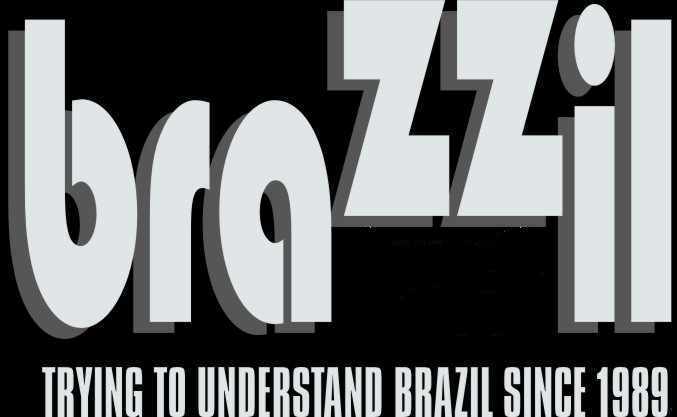 But with brazilians, one never knows ! As to the brazilian meat quality, wether Robbing Hook like or not, wether brazilians like it or not, the Brazilians meats are not known WORLDWIDE to be of prime quality ! Otherwise Egyptians, Moroccans, Russians and many other emerging nations workers COULD NOT AFFORD ! And if Brazilians meats would be of prime quality, no doubt brazilians would target far more the EU, Japan or the USA. Because it would be a good way to triple the price. And I am not even talking about sanitation…YET ! jUST QUALITY ex-sanitation ! Just go to restaurants worldwide. And see how many good or even average restaurants provide Brazilians meats. Almost NONE ! Not even in…THAILAND ! VERY TRUE ! Lets face it, Robbing HOOK is just lying as usual. And is very pretentious, also as usual. Reality is that Brazilians are uncompetitive against New Zealand, Australian or…ARGENTINE….quality red meats ! Jealousy and envy…..just make brazilians lying more and more.